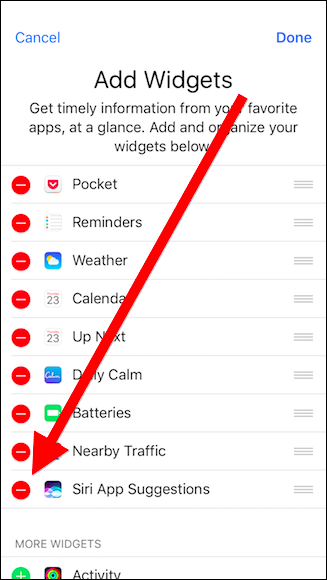 iOS 10 includes a feature that gives you quick shortcuts to apps it thinks you want to use—either based on your location or other factors. Here’s how to turn these suggestions off. You have probably noticed these suggested apps when they appear on the lock screen in the bottom-left corner. For example, every time I go to the park where I play Pokémon Go, my iPhone suggests the Pokémon Go app. If you wake up in the morning and always check your Gmail, the Gmail app icon will appear when you start your day. If you swipe up on the lock screen icon, the app will open. 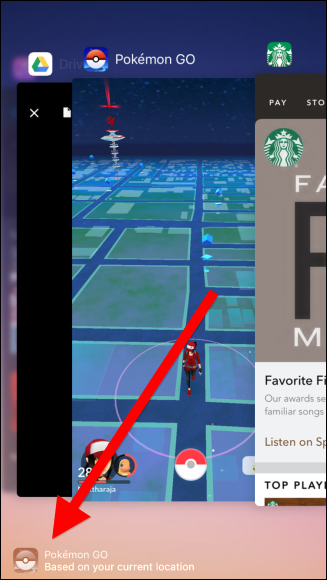 Not only do suggested apps show up on the lock screen, but the app switcher as well, with an explanation as to why it’s recommended (“based on your current location,” for example). If you tap on the icon, the app will open. NOTE: These icons look very similar to Handoff, which lets you pick up where you left off on your iOS device or Mac. For example, if you’re typing a long e-mail on your Mac and you need to step out for lunch, you can continue where you left off by swiping up on the Mail icon on your lock screen. These icons look the same, but they are different features and controlled by different settings on your phone. 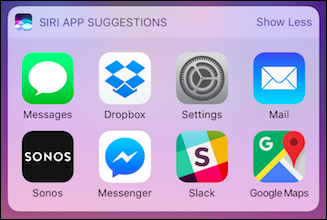 It turns out Siri is to blame for these suggested apps—namely, the Siri App Suggestions widget. If you don’t want these app suggestions to appear, you can only disable them by removing the widget entirely. 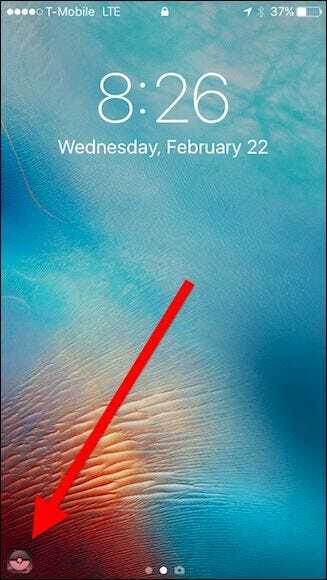 First, swipe right on your home screen to access the widgets screen. Scroll to the bottom of the widgets and tap “Edit”. 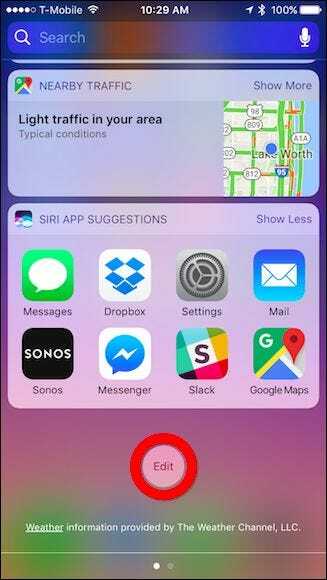 On the Add Widgets panel, locate Siri App Suggestions and tap the red minus. 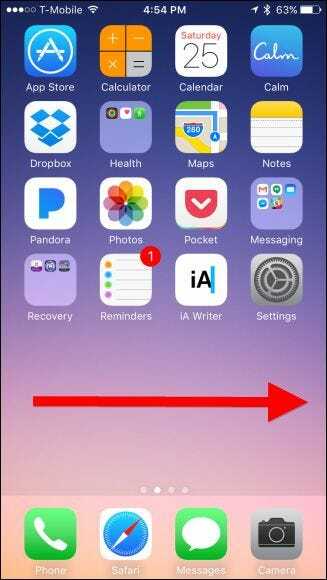 If app suggestions don’t immediately disappear, you may want to restart your iPhone. 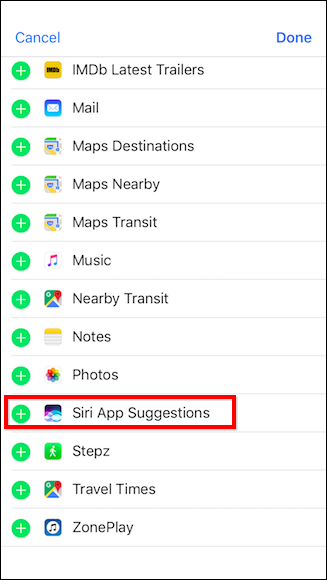 To re-enable app suggestions, return to the Add Widgets panel, and tap the green plus sign next to Siri App Suggestions. 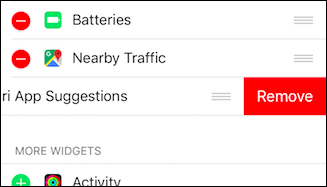 If the app suggestions don’t immediately reappear after adding the widget, you may need to restart your iPhone. Unfortunately, there’s no way to disable one or the other of these features. If you actually like the Siri App Suggestions widget, but don’t want the lock screen suggestions, for example, you’re out of luck. You either have to have them both or not at all.